Multiple keyword charts can be exported with with one click. 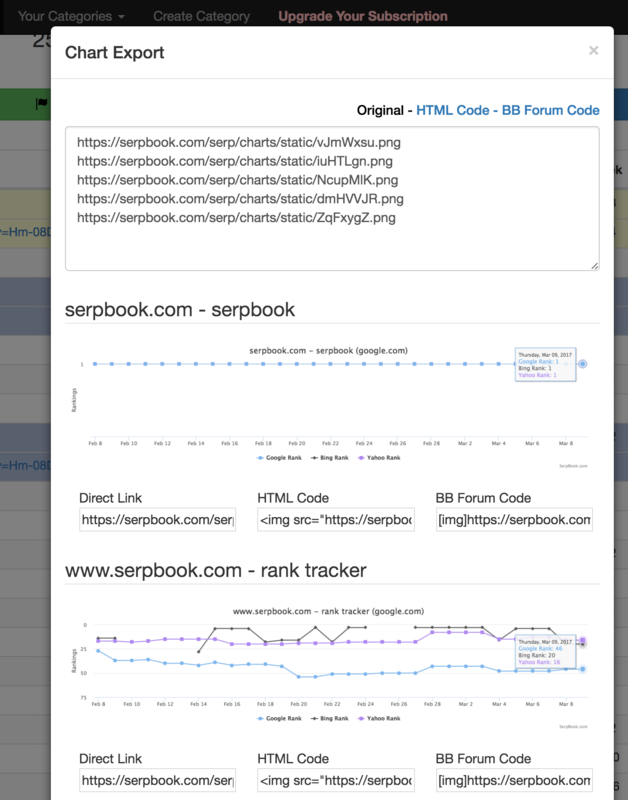 You also have the option to hide or show your private keyword information in these charts. Once exported, they are uploaded directly to imgur.com for you and formatted HTML and BB code links are also provided. Select the keywords you wish to export using the checkbox on the right. 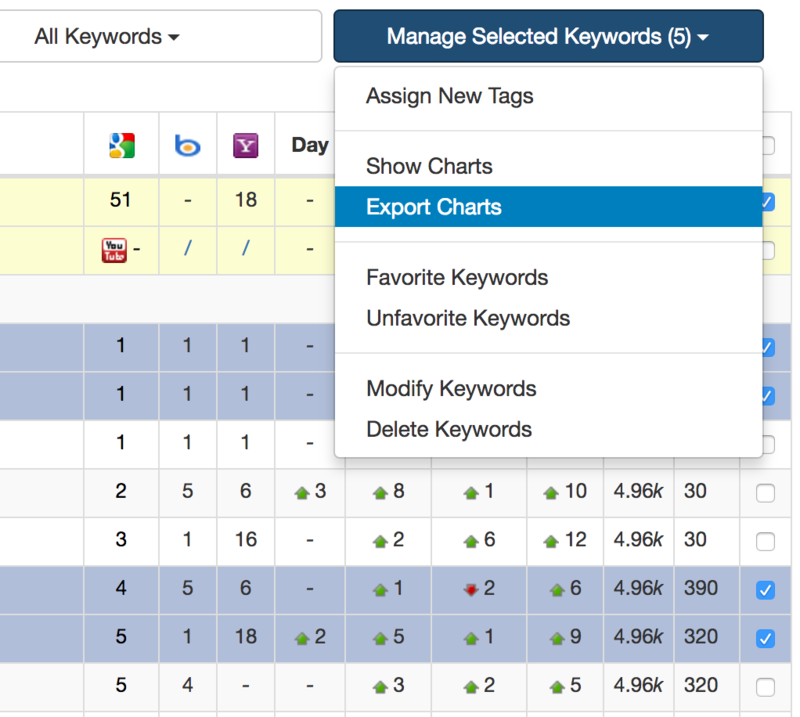 Then click on "Export Charts" under "Manage Selected Keywords". Select an option, whether you wish to hide or show keyword data in the graphs.